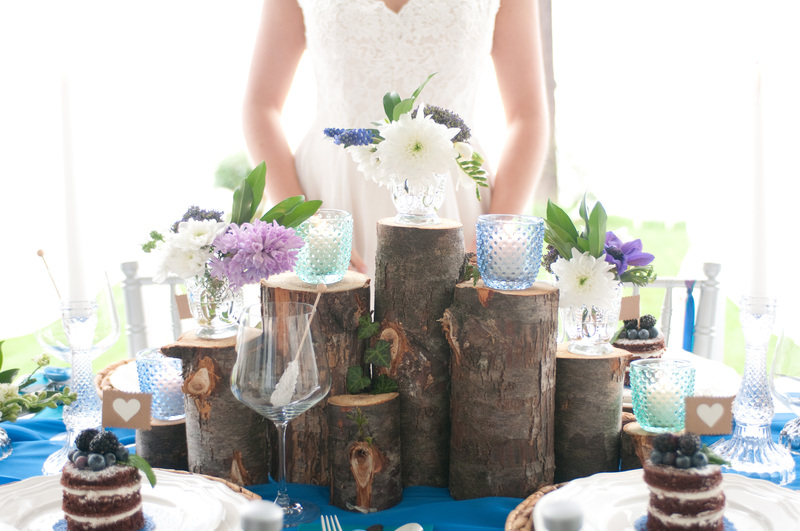 This styled bridal photo shoot’s inspiration came from our love of Vancouver Island & it’s Coastline. We wanted to capture a day that showcased love, laughter and the awe-inspiring raw elements of Vancouver Island. The colour scheme of blues with touches of purple and ivory hues complimented the Coast’s natural beauty and highlighted the amazing local vendors work. A Spring rainfall on the day of the shoot provided us with the backdrop of a misty Coastal paradise. From beach swings, rowboats and driftwood to a breathtaking tablescape, three stunning wedding gowns and a beautiful bouquet of local flowers, every detail of this photo shoot shouted Vancouver Island. We owe a HUGE thanks to the eight local vendors who braved wind and rainstorms to create the day’s magic.